Dodgers Lose 2nd Consecutive World Series!! First off… With all due props… Congratulations to the Boston Red Sox for winning the 2018 World Series!!! Boston defeats LA in 2018 World Series 4 games to 1 !!!! Orange October (XI) – Giants Win Game 5 (5 To 0)!!! The San Francisco Giants stormed to a Game 5 victory winning 5 runs to 0 on the complete game shutout pitched by their ace Madison Bumgarner! In a golden age for Giants baseball, which seems to be hosting a handful of potential hall-of-famers – MadBum is emerging as one of the strongest of all. Across three World Series (2010, 2012, and now 2014), Bumgarner has now won four games in four opportunities with a combined score of 1 run allowed in all four games! He now has the lowest runs allowed average (career) in World Series history for pitchers who’ve thrown more than 20 innings. But now the Giants face a tough test of going into Kansas City having to win one of the last two games. The odds are in their (the Giants) favor. Historically, the winner of Game 5 goes on to win the Series 68% of the time (.683), but it would have been so much more satisfying to have swept the Royals at home in S.F. Still, the main thing is to keep the pressure on and try to take Game 6. We don’t want a let down to give the Royals (and their fans) hope for a Game 7. So now it’s time for the team to get a good night’s sleep and board a long flight to K.C. tomorrow for the Tuesday Game 6… (And for those of you who’ve lost track: my prediction was Giants win Series 4 Games to 2.) Go Giants!!! And yes, we’re in for one heck of a World Series!! As I said a few days back, you can’t have a great World Series until both teams lose at home. So far, the Giants have taken Game 1 in K.C. The Royals won Games 2 (in K.C.) and 3 (in S.F.) and now the Giants have evened the Series with a big 11 to 4 victory in Game 4 (again in S.F). All 15 runs were scored without a single home run! Solid pitching (by both sides), great defense (by both sides) and exciting hitting (by both sides). Whew!! With three games left, it’s the first team to win two which gets to raise the trophy. Hopefully, it’ll be the boys in Orange & Black. I must admit to being nearly crushed when the Giants fell behind 4 to 1 in the third inning. I was even saying, “Well, that’s the series…” It just goes to show you how much I know – and my wife cheerfully reminded me of my comment in the 9th inning. (LOL) Needless to say, there was even more elation when the Giants tied the game in the 5th inning and then scored seven more runs (3 in the 6th and 4 in the 7th) to cruise to the Series tying victory. So, tomorrow is Game 5 and it comes down to the two teams’ aces to see which team gets the key victory. If we win the game, we fly back to K.C. with a lot of optimism looking for a split. If the Royals win, it’ll be a long flight into a steep climb of two must win games. So, it looks like the Series will turn on the strong left arm of Madison Bumgarner. Go Maddy! Go Giants!! Another exciting and well played game by both sides results in a come from behind 6 to 4 win by the Giants over the Cardinals. This essentially reverses the position the two teams were in two years ago, when the Cards held the 3 game to 1 advantage over the Giants. Of course, the Giants went on to win the 2012 NLCS by sweeping the three remaining games and ultimately going on to win the following World Series (against Detroit). So the Giants know how quickly the opportunity to advance can slip away if you don’t keep up the pressure. In tomorrow’s Game 5, we again have our ace (Madison Bumgarner) pitching against the St. Louis ace (Adam Wainwright). We only need to win one of the next three (.333 ball), while the Cards need to win out (1.000 ball). While it’s possible for the Cards to come back, it’s a tall hill to climb. 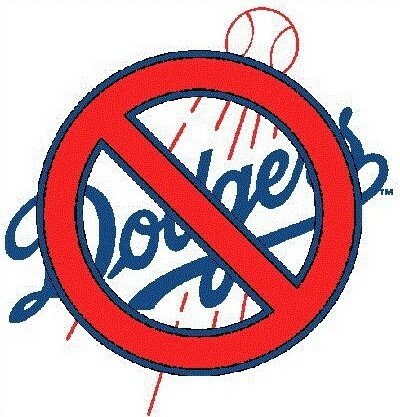 But, that’s why we play the games… Go Giants!!! Well, as I said in a prior post, it’s starting to look like “Katie-bar-the-door”… !!! The S.F. Giants defeated the St. Louis Cardinals in Game 1 of the National League Championship Series by 3 to 0!!! Madison Bumgarner, our ace southpaw, pitched a dominating game (7-2/3 innings, 4 hits, no runs allowed) on his way to breaking a 90 year old record for consecutive playoff innings without allowing a run. The current record is now MadBum’s and stands at 26-2/3rd innings (and counting). The Giants scored two of their three runs off of Card miscues, so we’re still waiting for the offense to wake up. The good news is when you don’t allow ANY opposition runs, you only have to score 1 run to win the game. So we did have a little insurance. So, for now, it’s mission accomplished! We’ve gone to their home and taken game 1. Now, we only need to play .500 ball in the next six games while they have to play .666 ball to move on to the World Series. Both teams are certainly capable of playing to that level, but the burden is now definitely on St. Louis to win Game 2. For the regular season, the Cards won 2 more games than the Giants and finished with a .556 winning percentage, to .543 for the Giants. It’s far more likely the Giants will continue to play .543 ball and advance, than it is the Card’s will jump from .556 to .666. But, that’s why we play the games. Both teams are tested champions and I still expect the series to go at least six games. Tomorrow is Game 2 and then the teams fly to San Francisco for three games. The NCLS playoff format this year is 2-3-2. Two games in St. Louis; three games in San Francisco; and, the final two games back in St. Louis. Of course, the last three games are only played if necessary. On the downside, the Baltimore Orioles have now given up games 1 and 2 in the American League Championship Series – both at home to the Kansas City Royals. Baltimore now needs to win 4 of the remaining 5 games to win the ALCS and go to the World Series. .800 ball is asking a whole lot with the next three games in Kansas City, so it doesn’t seem like it’s going to be the all Orange & Black World Series I was hoping for.